As you know, AMP is expanding to core mobile search results in Google. 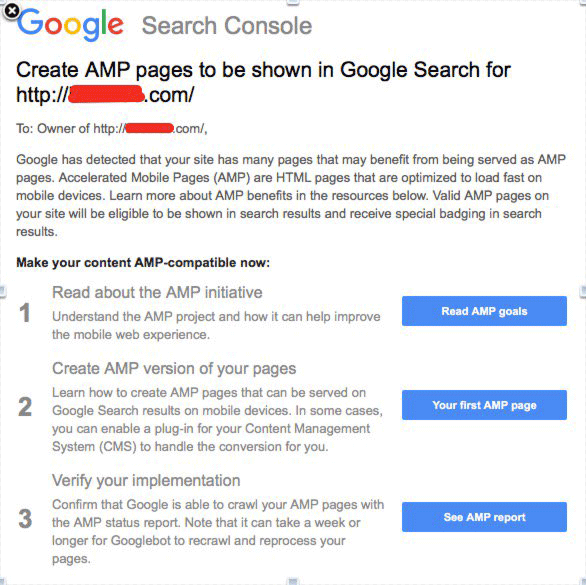 And now, Google is sending messages and notifications to Google Search Console users to create AMP pages. The messages read "Create AMP pages to be shown in Google Search for domain. The messages aren't too far off from the ones we've seen in January targeting news publishers. But these seem to be targeting a wider range of webmasters, not just those who write news. It says "AMP pages to be shown in Google Search," not just the top carousel. I guess expect more and more push from Google to make your pages AMP ready.